Soroka Violins is a violin repair shop located in Garden Valley, California, on the Georgetown Divide half-way between Placerville and Auburn. Services include sound and playability adjustments, professional cleaning and repairs to varnish, and the full range of set-up, repair, and restoration required for the continuing health of your violin, viola, cello, or bass. Please inquire for a friendly and complimentary consultation. 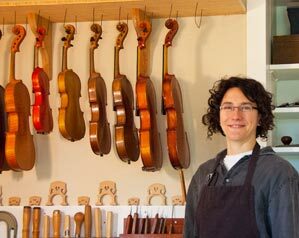 Rachael has worked professionally in the violin repair and restoration field since 2000. 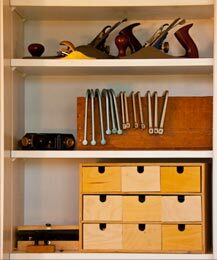 She received her training from several Master Craftsmen. She apprenticed first with Peter Horn in Cleveland, Ohio, and then with Valerio Mongillo in Burlington, Vermont. She attended summer seminars with Hans Nebel in New York. 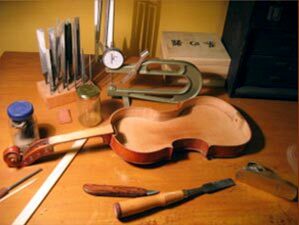 Rachael also studied violin making under John Paul Moroz in Salt Lake City. She has spent the past eight years polishing her skills with Roland Feller in San Francisco: for two years working in his shop and since then under his mentorship In 2008, Rachael opened Soroka Violins and continues to do contract repair and restoration work for other major violin shops around the country as well as servicing instruments for local clients. Rachael’s extensive experience working directly with musicians allows her to optimize the sound quality and playability of each instrument as well as adjusting to each musician’s personal playing style. Her specialty is in providing an instrument that looks it’s best and sounds it’s best while functioning responsively and comfortably for the player. A violin is a tool for making music as well as an exquisite objet-d’art in it’s own right: Rachael’s work and philosophy of repair ensures that your violin will not only play it’s best, but will be structurally healthy for generations to come.